Dads have the stereotypical reputation of a few key things: bad jokes, BBQing and convincing the family to rough it. None of these are bad stereotypes, but also none are true for every dad. I’ll be honest, these all are true for us…and doubly so as we’re a gay dad household. Our sons are used to our bad jokes and politely mock us for them. They know that a smoking BBQ means that Dad got distracted. 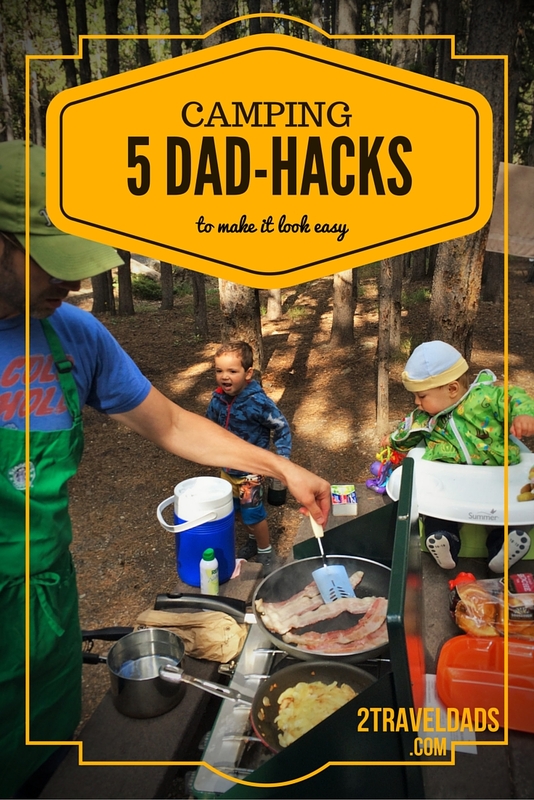 And they know that family camping is the most fun thing in the entire world, that’s why we’re sharing our dad-hacks to make family camping with kids super easy. 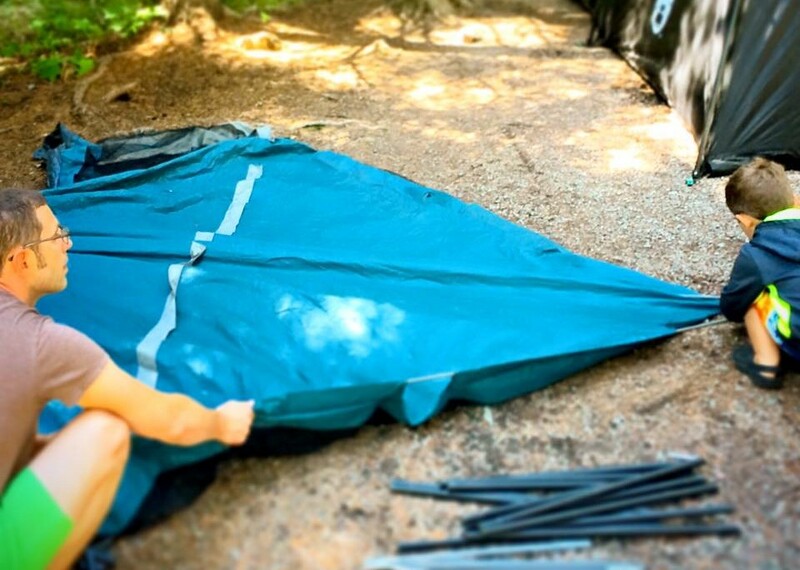 If you grew up in a city or didn’t have parents that took you out into the wild you might not have had camping skills built up through your life, so now you’re a parent and you’re like “Um, I guess we can go set up a tent in the woods… What then?” If that’s you, or if you feel like you just need to hone your chops, here are our 5 hacks to make family camping fun and easy. NOTE: we are car-campers, not backpackers, so adjust our tips for your version of camping. 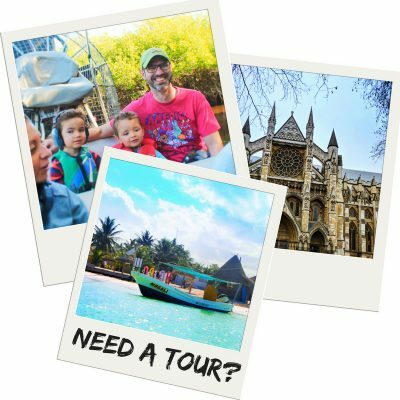 You know how there are just certain things that make both the travel and pre-travel experiences better? That’s what we’re sharing. And if you have anything to add, leave a comment to build on and make other peoples’ prep and vacation even better! First, know that it’s okay to leave the house having forgotten things. You can always buy something to act as a spare in the future, or you’ll discover that you don’t need everything you think you do to be successful. Having said that, a list is the best way to ensure that you have the necessities. Make the list a week or two in advance, as you’ll need to double check to see that you already own or can get/borrow what you need. 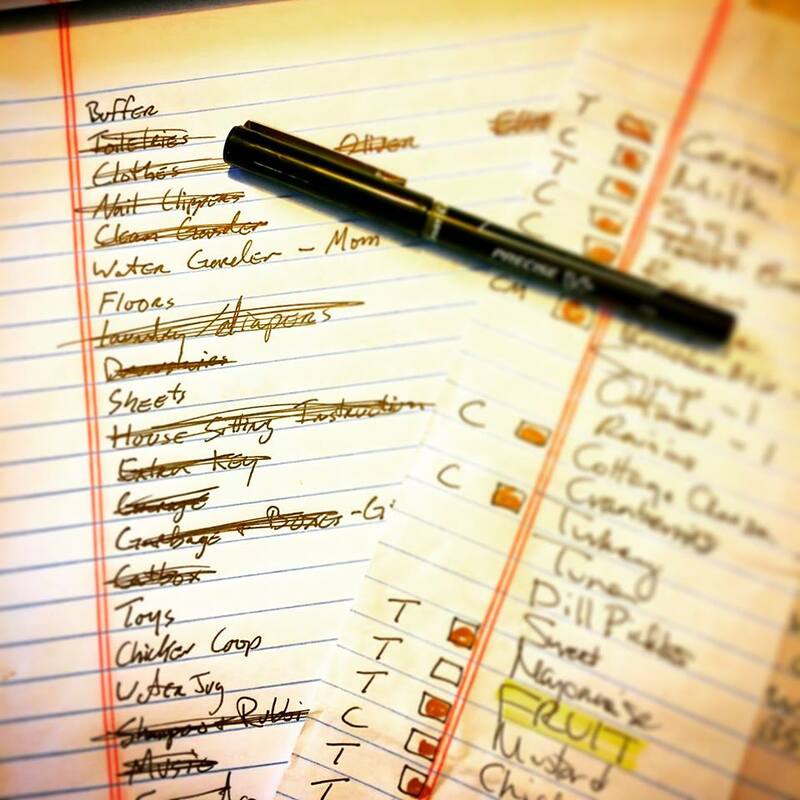 The list may seem long as you build it, but don’t stress it. 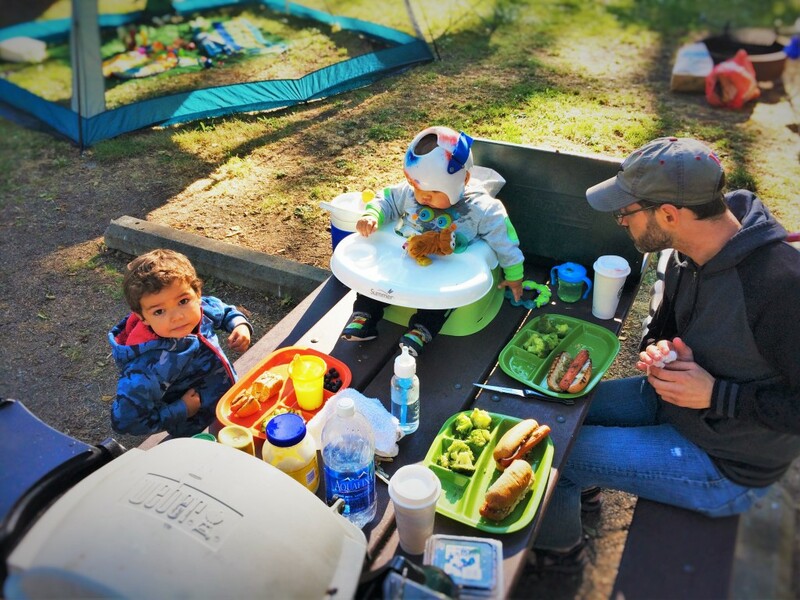 Take your time assembling everything ahead of time, because family camping does truly take a little bit of equipment. And remember, camping can be roughin’ it or you can glamp. 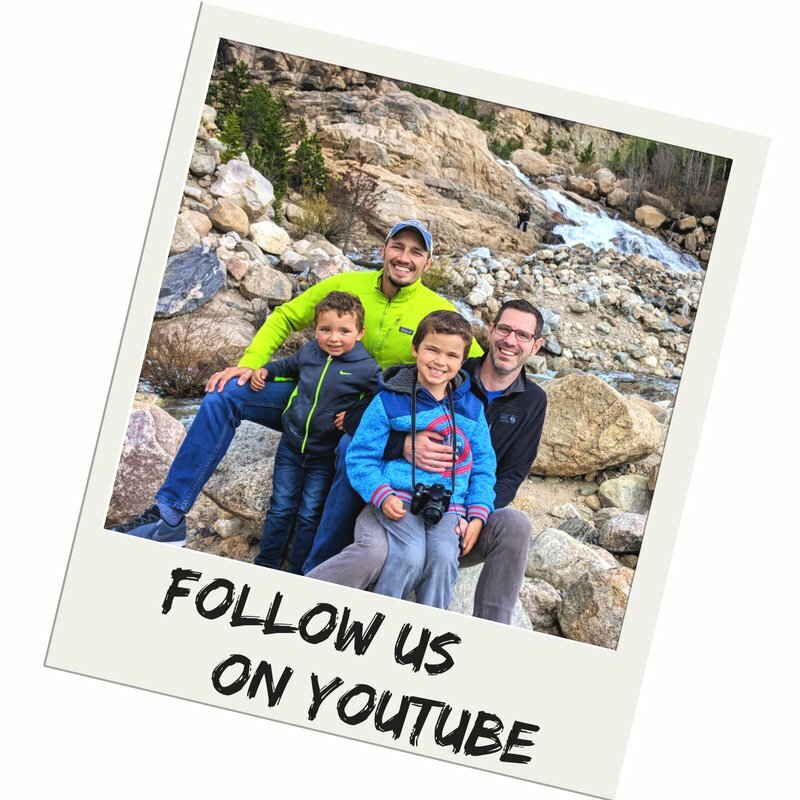 If you have some sensitive souls along on your family camping adventure, try to be thoughtful about what will help them be comfortable and enjoy the experience. Just, well, know your audience. Tip 1: there’s an app called Campers List. It’s not high tech, but it has a built in list that you can edit, and it’ll even move things from the NEED to the HAVE to the PACKED tab once you’ve checked it off. It’s become a life-saver for us. 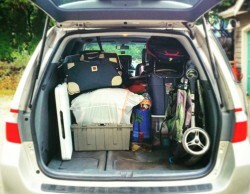 Tip 2: pack the big stuff first, and then the most important small stuff. If you have some inflatable toys for swimming that don’t fit, that’s fine; if your tent doesn’t fit, that’s not fine. For us, a BBQ is a necessity. It’s not just because we BBQ a lot at home, but you never know when you aren’t going to be able to cook over a fire. You should bring a camp stove too, which is pretty standard, but bringing a BBQ will make cooking so much easier, especially when it comes to meal planning (seebelow). Also, there’ll be times that you head out on the road and it’s raining at home but then you get to your final destination and there’s a burn ban and you can’t cook on an open flame or even charcoal. That’s why a propane BBQ is a must. We love our Weber Q, which is compact enough to bring, but not so small that you struggle to cook a fish. 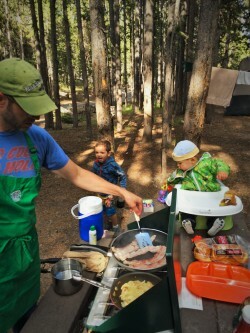 Why do we say that a propane BBQ is best for family camping (beyond burn bans)? It’s easy to get going and it’s easy to pack up. Also, you won’t always have a safe place to dispose of hot coals, so using a charcoal-free BBQ ensures safety and easy clean up. Tip: if you can fit a large propane tank in your car, such as a Blue Rhino, do it. Using the small propane bottles can be very wasteful and the recycling stations that accept them are few and far between. **Xanterra, the private company managing Yellowstone Nat’l Park and others, has set up propane bottle recycling. Props to them for being trailblazers! Tip 2: if you don’t love grilled food (veggies or meats) try lovin’ it. Grilled vegetables are incredible! 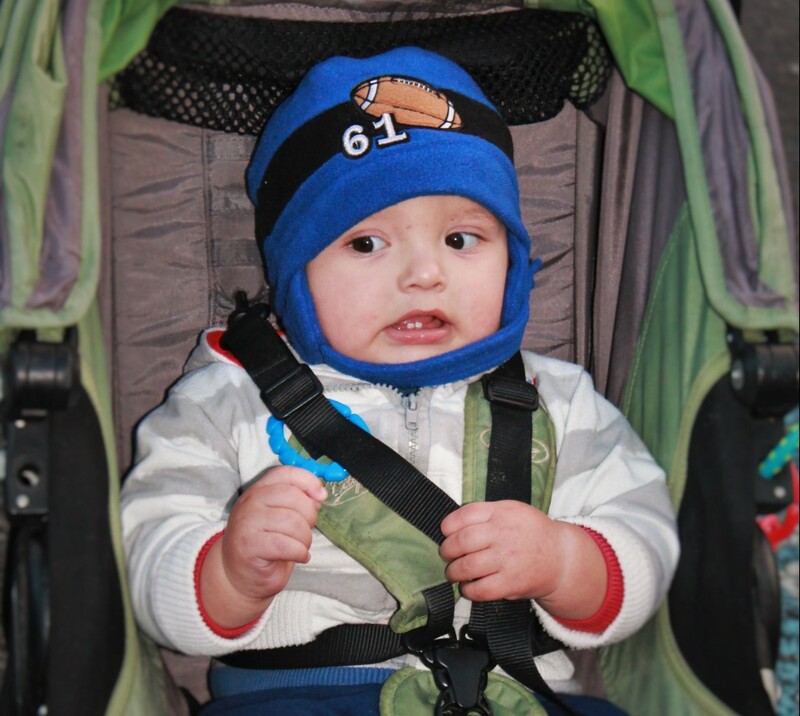 There hasn’t been a single family camping trip for us where we didn’t think we were going to freeze at some point. This includes completely dry, beautiful adventures in the desert or high prairie. Seriously, it just get’s so cold sometimes. Tip: put a fuzzy flannel pillowcase on your pillow before you leave. This will help do two things: 1.) keep your head warm and 2.) minimize condensation on the material which makes for unhappy campers that don’t want to sleep outside again. When we camp, we have good food. Like, really good food. One of the things people don’t like about family camping is eating beans and hot dogs. Why not make some awesome chili ahead of time and freeze it to bring? Or par-cook some awesome marinated meats and freeze them… Basically, there’s no need to give up quality when you’re on the road. We love the sous vide method for cooking in general, and doing it as prep for camping is downright brilliant! You make something great and then throw it on the BBQ to reheat it and make sure that the edges are charred just right. Another thing to think about is burgers. You can make awesome burgers ahead of time and freeze them. If you do this, you can bring small amounts of fancy condiments and toppings to make them stellar. 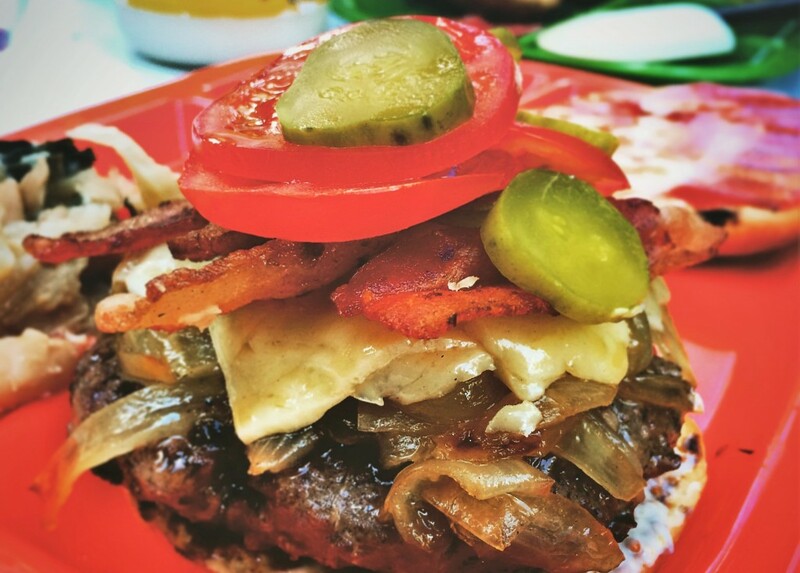 There’s no need to have a boring burger when you’re in the woods. breasts and then slow cooking them in this method really strengthens the seasonings while still keeping the meat super tender. Freeze the meat in the same Ziploc bag you cooked it in to not lose an ounce of flavor. Tip 2: prepping salads, like potato or coleslaw, will make meals more fun. If you bring boring food, meals at camp won’t be exciting for anyone. Our favorite: Cajun Coleslaw. And never underestimate the power of a good burger. 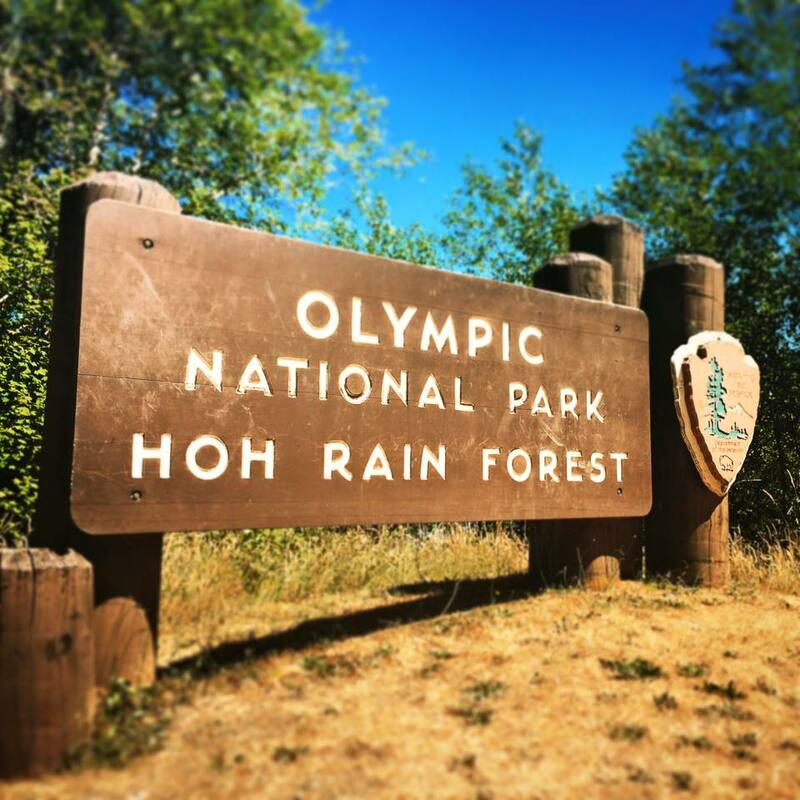 When you tell your kids that camping is on the agenda, make sure that you’re able to speak to the other exciting things to do outside of camp. Example: drive two hours to a place that has hiking or swimming VERY close by. Don’t make the fam sit in the car any more than they have to. If you live in a major city, chances are that you are closer than you know to a perfect little escape. We actually have a whole article on how to choose a destination (check it out!) and the concepts apply to family camping just like heading someplace tropical. 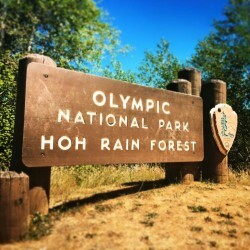 Tip 1: we love to camp in National Parks because they are beautiful, well maintained, typically have nice facilities and keep you close to your activities. Tip 2: provincial parks (Canada) usually have amazing facilities, and some even provide campers with firewood so as to prevent collecting fallen wood from the forest. Tip 3: camping at the beach is not awesome if you have ANY form of OCD. No matter your efforts, your family will be covered in sand and somebody will moan about it. 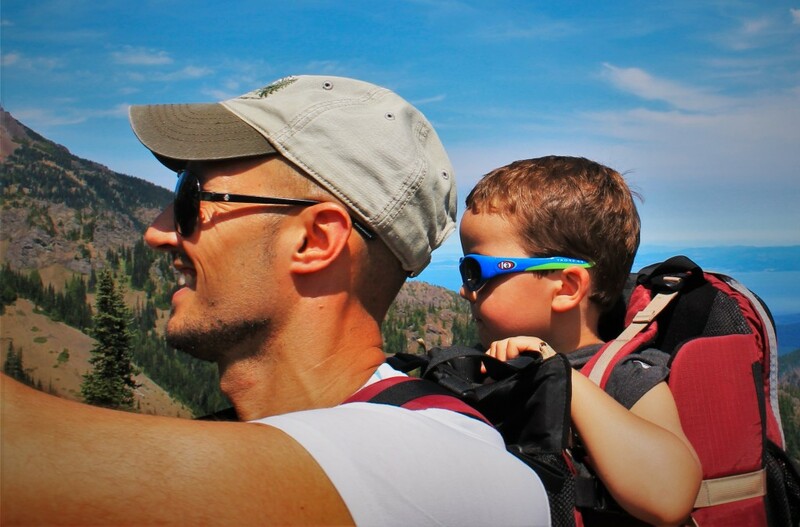 Unless you’re already a big beach family, save it for day trips. These tips come from years of family camping with kids and experiencing both awesome and kind of lame trips. Learn from our mistakes and successes and go impress your family. Happy camping! This piece was originally written for the DailyDad.org. Great tips! I had never heard of the par-cook method before, I’ll have to give it a try. Very true about the beach camping, just going to the beach and getting sand all over me is not fun, no wonder we no longer live at the beach. All great tips. Best to be prepared ahead of time. Great tips all, with kids we cannot leave anything to chance. 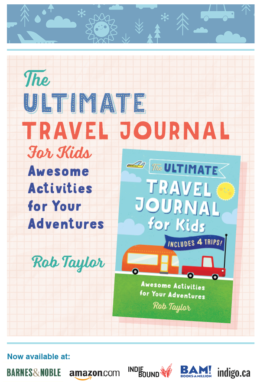 Am a big fan of lists and pre-trip preparation so I thought I was reading about myself here – even without the kids! Kudos to you for taking the kids out camping that young, this is awesome! And I need to learn about the par-cook method, never heard of that! Love the tips. We love the outdoors, but the older I get the more I want a real bed at night! I can see you are getting your kids started young. 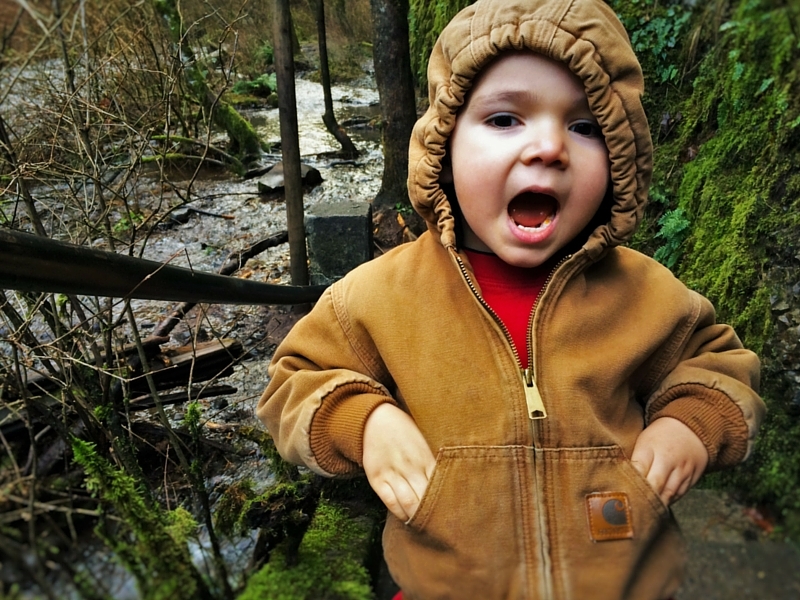 Hopefully that translates to a lifelong love of the great outdoors. That burger you made looks delicious! I always thought “camping food” only consisted of hot dogs and beans, but clearly I was wrong. Thanks for the great tips. I love all the attention on the food. I think that makes the trip. I really appreciate your tips on where to camp the most, though. We’re planning on doing a lot of camping this summer and that question has kept me up at night. I didn’t even consider the annoying aspect of beach camping. Thanks! Excellent family camping tips, Rob. Normally such a post wouldn’t have caught my attention (I’m not a parent), but I’ll be camping with my nieces this summer. Fortunately, uncle jokes can be just as bad as dad jokes. Now that’s a whole lotta practical first-hand experience distilled into 1500 words! Wow! Food prepping is such a great tip. I want to go camping one day. 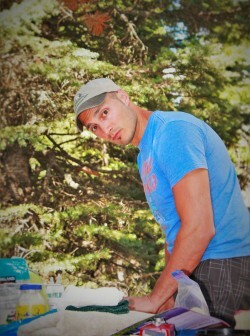 I attempted once, but ended up cheating…I slept in my car instead of the tent I put up. Side note: you guys are so much fun! Your kids are lucky to have you as fathers. Random that I’m making sound vide chicken legs (perfect for grilling after sous vide) and coleslaw this weekend!